A surprisingly high-quality affordable wine club offering a comprehensive range of wine regions, grape varieties, and wine styles. 90+ Cellars is a modern-day négociant, sourcing wine at all different stages of production to produce wine at very low prices. We've been fans of the Ninety Plus brand since we started working in the wine business. We especially love the affordable pricing, which allows wine shoppers on a budget to explore premium wine regions and the grapes they're known for. We'd really like to see a white wine (and rosé and sparkling) only option, as Ninety Plus Cellars makes a variety of interesting whites, rosés, and sparkling wines. A 90+ Cellars Wine Club membership costs $50.00 for 3 bottles of wine. Free shipping plus sales tax where applicable. The price per bottle, with shipping, ranges from $15.00 to $16.67 depending on how you configure your membership. We received this shipment of the 90+ Cellars Wine Club in October, 2017. 90+ Cellars is a "modern-day négociant." A négociant (a French term) is a company who produces or acquires wine and labels it under one label. Négociants buy everything from grapes to grape must to wines in various states of completion. Some famous examples of this practice are E. Guigal, a French négociant; Cameron Hughes an American négoicant; and Kirkland brand wines which are available at Costco. Why does 90+ Cellars operate this way? This is an excellent way to bring big value to wine customers, as some middlemen are cut out of the process. Through a shrewd process of assessing wine in different states of production, they have built a portfolio of affordable, high-quality wines. 90+ Cellars has curated their terrific portfolio of wines into a quarterly wine subscription, featuring seasonally-appropriate wines. When you order, your first shipment will go out based on the current quarter. Subsequent shipments are delivered in March, June, September, and December. Shipping is always free for 90+ Cellars wine club members. Some important notes... Since the wines are selected for seasonal enjoyment, the contents of the Mixed wine club vary throughout the year. The summer shipments are heavy on whites and rosé, where as the fall and winter shipments are red-dominant. Also, the 3-bottle and 6-bottle clubs feature all different wines. 90+ Cellars wine portfolio includes a broad range of wine regions, grape varieties, and styles. It's a terrific way to explore the world of wine. Note: This list includes wines that wouldn't ship via their wine clubs, but members save 15% on all wine shop purchases. What especially intrigues us about the 90+ Cellars portfolio is that they include premium growing regions and the best grape varieties from those regions: Pinot Noir from Monterey, Chardonnay from Russian River Valley, Shiraz from McLaren Vale, Sauvignon Blanc from New Zealand, Prosecco from Veneto, Rosé from Provence, a variety of wines from Piedmont, including Barolo and Serralunga d'Alba, Napa Cabernet, and Burgundy from Nuit-St-Georges! In addition to their 90+ label, Ninety Plus Cellars owns a few other brands, too. Sometimes wine club shipments contain selections from their Iron Side Cellars brand (premium wines), or their Magic Door Vineyards brand (also premium wines). Satisfaction Guarantee. 90+ Cellars does not offer a true satisfaction guarantee. They'll take care of issues on a case by case basis, but they won't replace a bottle just because you didn't like it. Discount Opportunities. In addition to value-priced wines, you get a membership discount on the wines in the shipments, a 15% off members-only discount for any orders from their wine store (so you can get more of your favorites), and special members-only deals are sent out periodically. In most cases we don't award bonus points for free shipping. In this case, when we crunched the numbers on the value of wine in each box, we found they really are offering free shipping! Customer Service. We were unable to find any complaints about the customer service at 90+ Cellars. They’re either really good at removing negative feedback about them from the Internet or they’re running a tight ship trying to keep customers happy. We’ll update this rating if we receive complaints from customers. Wine Education. When it comes to wine education — information about the wine region, the winemaker, the grapes, and of course tasting notes about the wine — 90+ produces an entertaining and fun brochure for each shipment. Their upcoming shipment features a sparkling rosé and they've come up with some really simple but fun pairing ideas for it. You also get a bit of background (the whole negociant thing requires they keep a lot of information secret) and useful tasting notes for each wine. Convenience. 90+ Cellars does not offer all of the conveniences you expect from a modern subscription box servicey While you can change your preferences, skip, or cancel any time, you'll need to contact their customer support team to do that. You can call, email, or chat with a support representative on their website. They do send out reminder emails before your order ships in case you need to make changes or update your credit card. Who Should Join the 90+ Cellars Club? 90+ Cellars is an affordable wine club with high-quality wines. Is 90+ Cellars a Good Wine Club Gift? Yes! While 90+ Cellars doesn't have a lot of premium gift features (no gift-wrap, no fancy packaging), it is available as gift membership (you pay quarterly, not all at once) and they are able to incorporate a gift message in the first shipment. 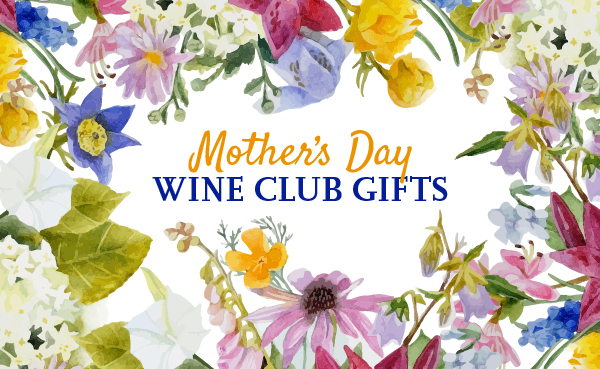 If you are sending the email announcement, you'll want to order the wine club on the big day, not ahead of time. The email goes out when you place the order. They offer two options for gifts: 1 Year of Wine (4 shipments) or 2 Years of Wine (8 shipments). You can select these options with any wine club package you pick (3 or 6 bottles).